In honor of the 2014 Olympic Winter Games in Sochi, we're taking a look back at some the Olympians who have graced the park with their presence. With our ice rink as a hot spot, we're a little winter games heavy, versus the summer events, but each visit was an honor nonetheless. 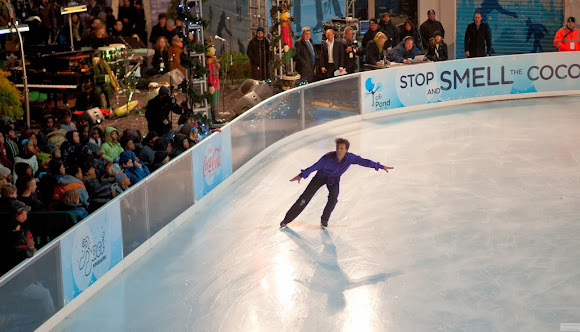 Famous for his Tornado (backflip with a twist), Michael Weiss performed at the 2010 Tree Lighting. 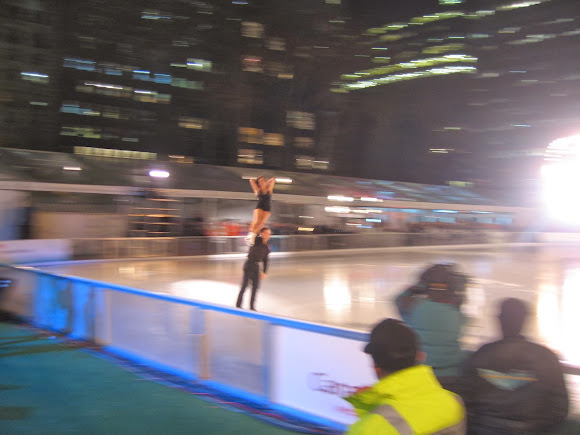 Canadian Gold Medalists in Figure Skating Pairs David Pelletier and Jamie Salé performed at 2008's Holiday in Bryant Park Presented Live by WCBS-TV. Gold Medal Gymnast Shawn Johnson made an appearance at IHG's World's Biggest Bed Jump in 2009. 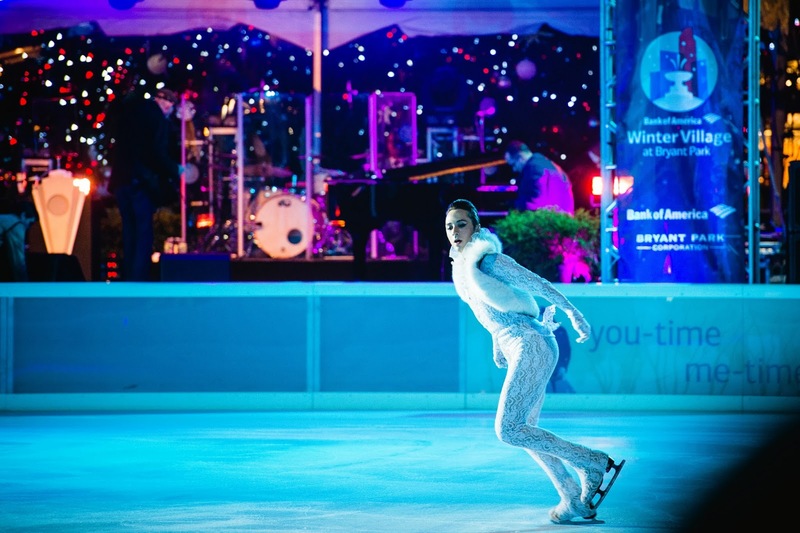 The always entertaining Johnny Weir delighted the crowd at the 2013 Bank of America Tree Lighting Show. 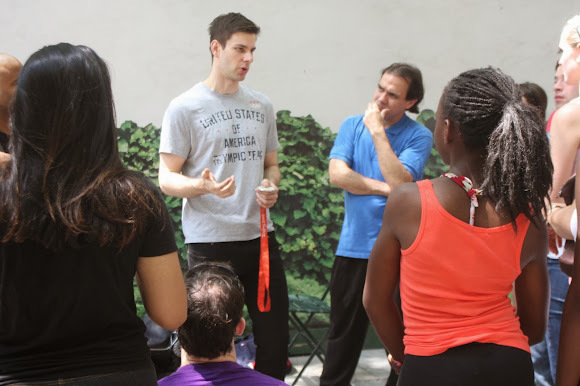 Tim Morehouse, a silver medalist in Fencing stopped by in 2010 to teach our regular class with Manhattan Fencing Center. Olympic Silver Medalist Sasha Cohen taught a skate clinic on the ice in 2012. To get in the Olympic spirit this season, go for a spin around The Rink at Winter Village, or pop into the Southwest Porch to watch the Games. We're showing events at lunch and after work.